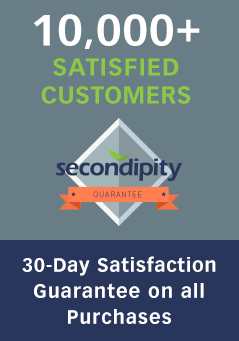 Secondipity’s commitment to sourcing store returns and overstock items allows you to be the hero at home with great products at unbelievable prices. Extending beyond our deals, a portion of every purchase goes to support classrooms in need through DonorsChoose.org, giving “going green” a whole new meaning. Secondipity is a marketplace of Liquidity Services, a global solution provider in the reverse supply chain with the world’s largest marketplace for business surplus. Through Liquidity Services, Secondipity – and its sibling marketplaces Liquidation.com and Liquidation.com DIRECT – have access to returned and excess inventory from half of the top 30 consumer brands and more than half of the top 20 retailers.